How exiting is this?! New York Fashion Week is on with showing absolutely great collections for Spring / Summer 2016. 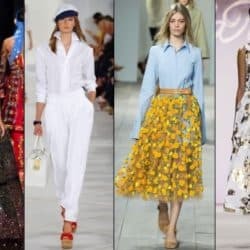 Buuut, not only the clothes which are shown on the runway are amazing – there is another big fashion show going on in the streets of New York City! Street Style outfits at fashion weeks are always so inspiring and therefore I wanted to show you guys some awesome looks from the last few days. Posted in Inspiration and tagged Accessories, Bags, Beauty, Blog, Bloggers, Chiara Ferragni, Dresses, Enjoy, Fall, Fashion, Fashion Month, Good Vibes, Inspiration, Kristina Bazan, Life, New York, NYFW, NYFW15, Photography, Spring Summer, Street Style, Tips, Travel. Bookmark the permalink. I love Chiara’s French Vibes Look with the collar dress!